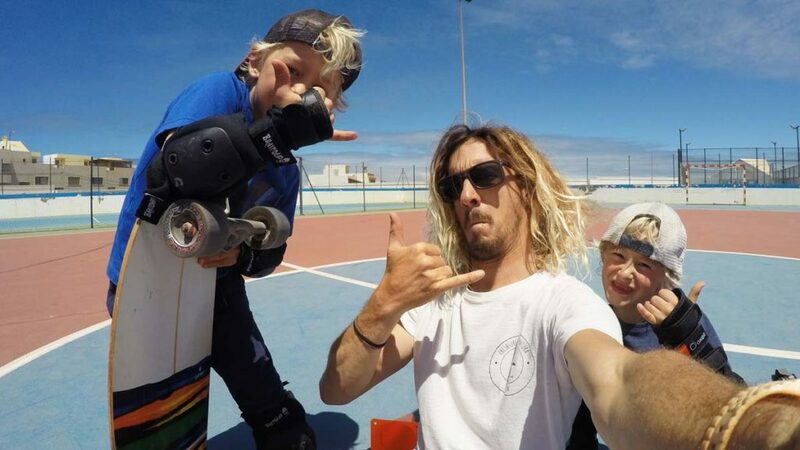 The locals of Fuerteventura don’t only learn how to walk and surf when they grow up, but also how to skate. The reason: If the streets are calling, we follow – but only on wheels! 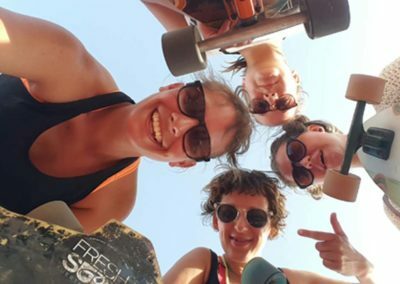 Cruising around with your Longboard over elongate, freshly paved roads, passing the sea, volcanoes and the rough wilderness – that’s what we call freedom. 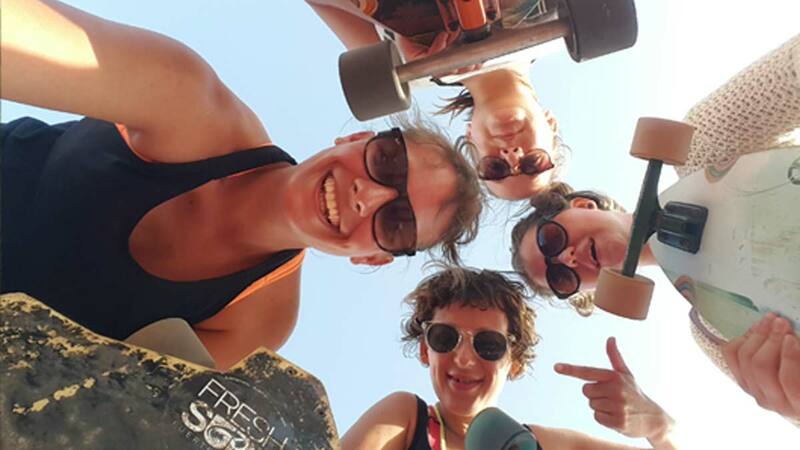 While longboarding, the setup of our island creates a completely different feeling than the urban jungle in your home town does. 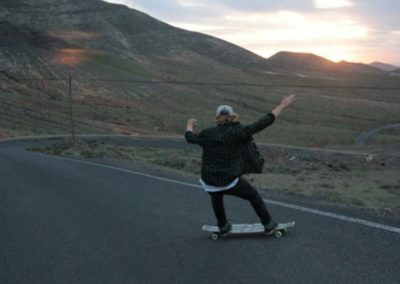 Spend your evening skating empty streets, the evening sun in your back, wind in your hair, in front of the mountains and the sea next to you. When everything is wrapped in a warm orange light, you will notice why the street sets you free. Oh, Home Street Home! The street is not enough? Get more thrill in one of our skateparks. 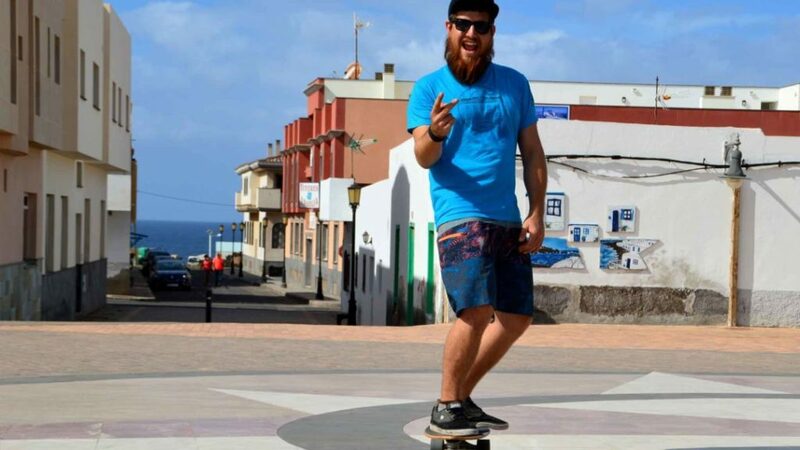 La Oliva and Corralejo offer you best 5-star-transition-skating. The miniramps and quarter pipes are exactly what you need for grabs and (kick) flips. With a good tune in your head, the board dropping in the pipe in what feels like slow motion, you’ll be lost in transition. Ever heard about Carver? 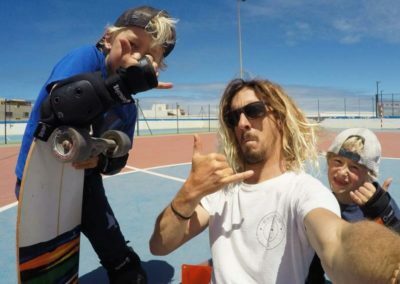 It’s a skateboard which has got a similar drive that a surfboard has – through a deck that you flip like the tail of a surfboard and some trucks that make it possible to do radical turns. 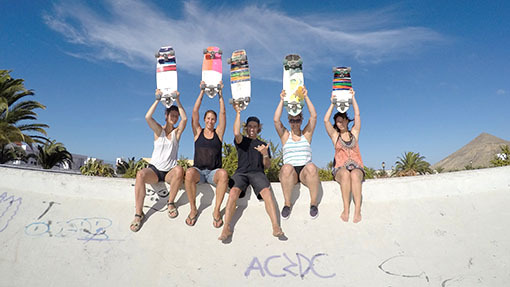 The Carver Skateboards offer a surf-skate-feeling. Our surfcoach Jordi teaches you how to use a Carver Board to improve your maneuvers like backside or frontside turns, bottom turns, cutbacks, how to spray, how to pump right and much more. Get your surfing to the next level! 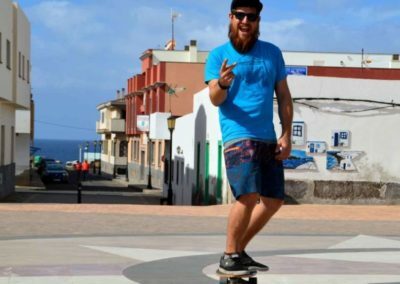 Let the European Longboard Champion Carl Fölster show you how to Longboard! 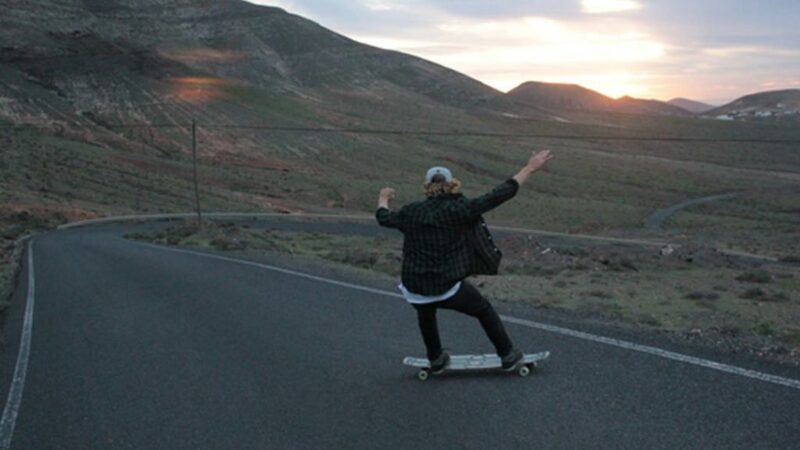 In his masterclass he’ll teach you the essentials like pushing, balancing, speeding up and braking with a Longboard. In a short time you’ll be cruising around confidently – and that’s when the real fun begins. In 2 hours Carl will teach you how to do tricks on a Longboard. Even if you are a complete beginner, you will learn tricks like Cross Steps, how to jump or flip your board and much more. When your luggage is already filled to the top with boardshorts and surf equipment, there’s probably not enough space for your Longboard. Don’t worry! In our surfschool you can rent one! Just choose from a variety of cruisers and longboards. We can provide you knee-, elbow- and wrist-pads. In the Longboard Class children also can get a helmet. Where's the next skate park? The next skate parks are either in Corralejo (20 minute drive) or La Oliva (15 minute drive). In La Oliva there is a Bowl which is perfekt for cruising and practice turns. 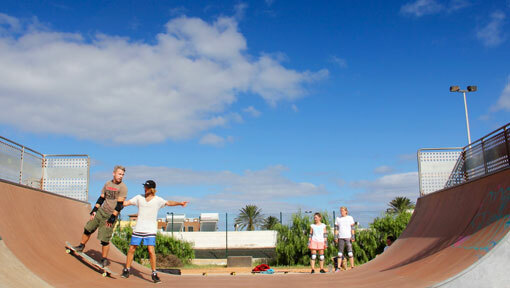 In Corralejo there’s a Miniramp which is perfect for practicing the drop-in steep waves. Both offer a lot of obstacles for experienced skaters. Can I go skating close to the surf school? 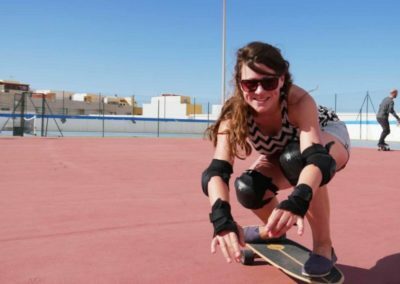 The best area to skate in El Cotillo is the sports field (a hard court) or the plaza behind the Cotillo Beach Hotel.